One thing is clear, Donald Trump has no idea what a war with Iran would cost. Estimates of American combat dead begin at 80,000 and move upward. Civilian death in the US, not counting any nation that would aid the US in such an endeavor, would likely top 50,000 or more. The financial cost is estimated in the trillions with Saudi Arabia’s oil output ended for all time. That nation would lie in ruins. The same is likely for Israel as well. Then again, Russia listens to Trump, but Iran is a “red line” for Russia as was Syria. Iran is and always has been the “back door” into Russia. Past that, Turkey and Pakistan have both become hostile to the US under Trump. There are no land approaches to Iran but through Pakistan or Turkey and neither love nor trust the US anymore. In fact, both might well choose to war on the US, particularly if Russia or China joined in, even in a limited way. War with Iran might well be the end of America as a world power. President Trump has chosen to go to war with Iran. His attempts to threaten Iran into humiliation as he has done with some success with America’s NATO partners, will fail miserably. Iran is not France. Trump is simultaneously moving against both Turkey and Pakistan. 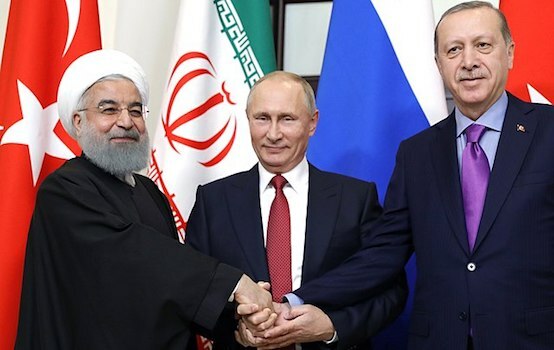 Through terror surrogates, ISIS and al Qaeda in Syria and Iraq, a “failed mission,” the Kurds and radical cleric Fethullah Gulen against Turkey, the MEK against Iran and the Indian/Israeli trained “fake” Taliban fighting Pakistan, America has chosen to dominate the Middle East and South Asia. From there, Trump has chosen to use economic sanctions, Iran in place and Turkey and Pakistan in the planning stage, to institute regime change and put in place puppet governments. It won’t just be Iran’s President Rouhani. White House plans include removal of Turkey’s President Erdogan, Pakistan’s President elect Imran Khan along with secret plans to kidnap or kill Syrian President Assad. Sources at the highest level of Italy’s counter-terrorism forces have leaked reports of a joint US/Israel document, a plan to use witnesses from the notorious White Helmet organization, a CIA MI6 front group operating as a fake NGO, to seek an indictment against Assad at the International Criminal Court in The Hague. Please note that both the US and Israel have, themselves, withdrawn from that body in fear that their own leaders might face indictment as well. When American President Donald Trump “tweeted” threats to Iran in late July 2017 hit, the reality of a broad war entered a new phase, a war Trump will never understand, and a war Trump’s mouth may have inexorably moved toward. 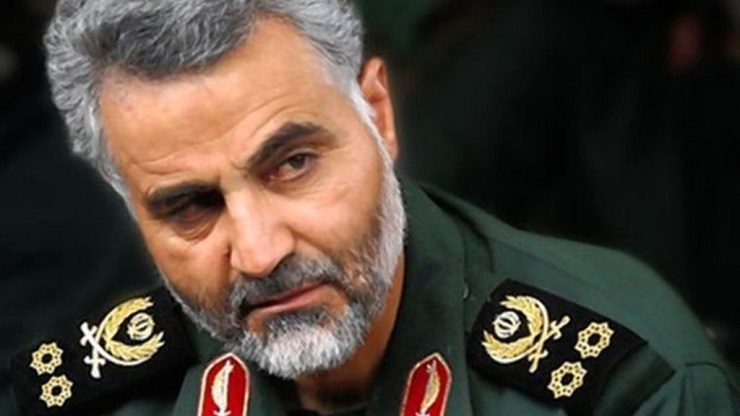 The returning salvo from Iran was issued, not by President Rouhani, but by Major General Qassim Soleimani, perhaps the most respected and feared military leader of our era, spoken of as a combination of Che Guevara and Erwin Rommel with a touch of Patton thrown in for good measure. “You threaten us with an action that is ‘unprecedented’ in the world. This is cabaret-style rhetoric. Only a cabaret owner talks to the world this way. What was it that you could do over the past 20 years but you didn’t? You came to Afghanistan with score of tanks and personnel carriers and hundreds of advanced helicopters and committed crimes there. What the hell could you do between 2001 and 2018 with 110,000 troops? 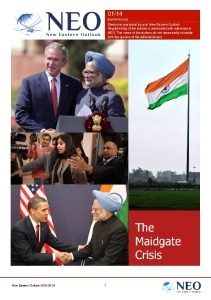 You are today begging Taliban for Talks. Afghanistan was a poor country, what the hell could you do in this country that you are currently threatening us? Have you forgotten that you provide adult diapers for your soldiers in the tanks? Despite that you are currently threatening the great country of Iran? With what background to you threaten us? We are near you where you can’t even imagine. We are the nation of martyrdom, we are the nation of Imam Hossein, you better ask. Come; we are ready. We are the man of this arena. You know that this war would mean annihilation of all your means. You may begin the war but it is us who will end it. A mere organization is standing against you in Yemen but it has emerged victorious in the face of the most advanced of your military equipment. What have you achieved over the past four years? You stripped the Red Sea, which used to be a safe sea, of security. You fought under fire Saudi Arabia and its capitol Riyadh, which had not seen a single rocket fired at them for 100 years. General Soleimani was kind in not mentioning Vietnam, perhaps the real lesson Trump should have learned if he hadn’t failed to join his generation in their conflict do to “personal choices” tied to wealth and privilege. What Trump fails to see is the real condition of America’s military. He needs to visit a waiting room at a Veterans Affairs Regional Medical Center where the survivors of America’s War on Terror, torn apart by repeated deployments to the Middle East, sit as empty shells among the remaining survivors of Vietnam. The drones and missiles, the stealth aircraft, the carrier battle groups, all are useless against people both not afraid to die and capable of striking out. Iran’s massive missile arsenal is modern, accurate and capable of overwhelming any defense. It controls the Indian Ocean, the Persian Gulf, the Red Sea and even the Eastern Mediterranean. American carriers would need to be a thousand miles at sea to avoid being sunk while American bases in Turkey or Qatar, even Diego Garcia, would be quickly obliterated. America poured the last of its cruise missile inventory into Syria, in a failed effort to save ISIS and al Qaeda surrogates. All the while, America’s stock markets would crash, gasoline would hit $12 and even $15 a gallon in America and become unaffordable in Europe. Eventually, with crashing revenues and unbridled expenditures, America’s economy would spiral even worse than it did in the post Iraq/Afghanistan crash of 2007/8. It might well be America that faces regime change then.